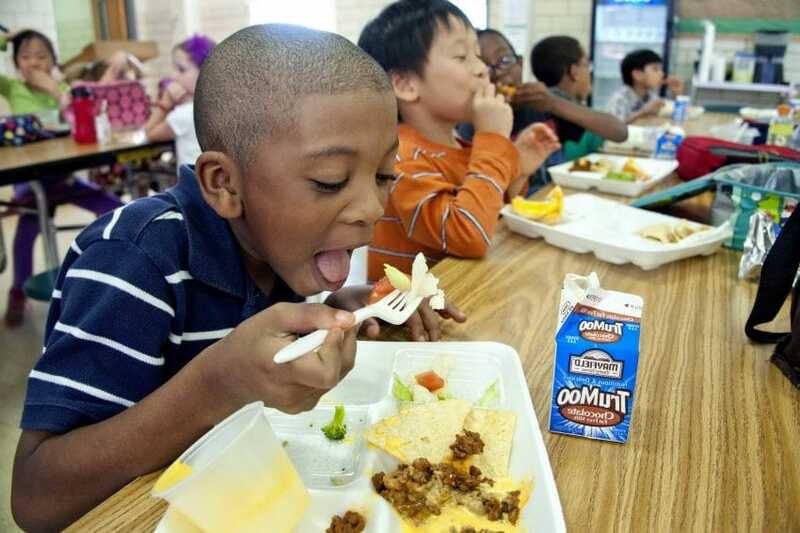 With the recent buzz about how rates of obesity and other health-related diseases are on the rise in an increasingly younger demographic of children, the discussion regarding healthy eating has not only become mainstream, it has also gone national. There is now a nationwide attempt to reverse damage done to the health of the younger generation after years of advertising unhealthy and sugary-sweet beverages and consumables to children. This, however, has not been without its issues and complaints. 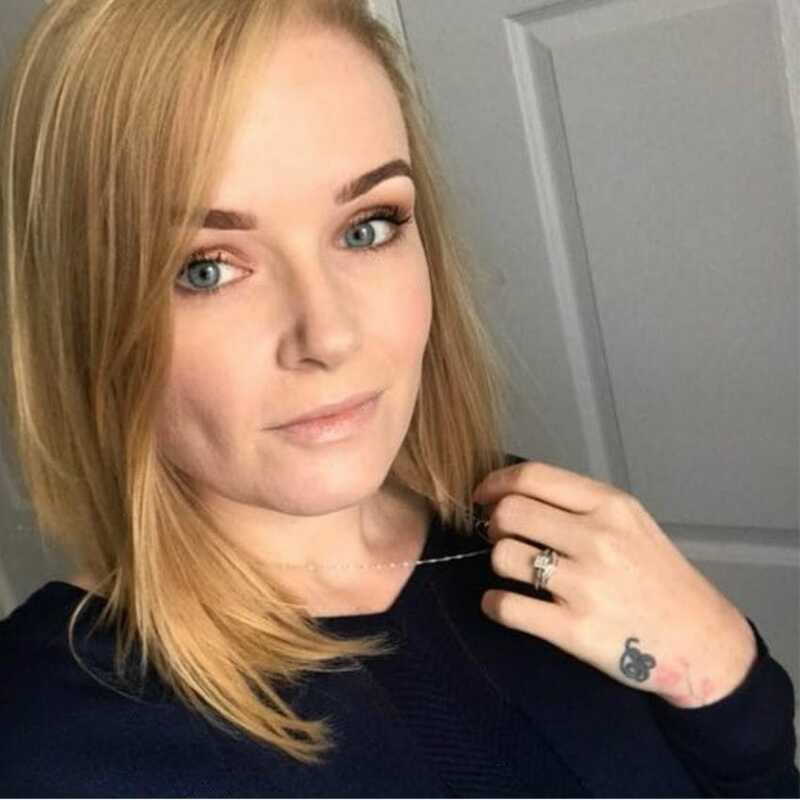 Laura Lee, a mother of a 2-year-old boy, had sent her son to his nursery with his packed lunch. 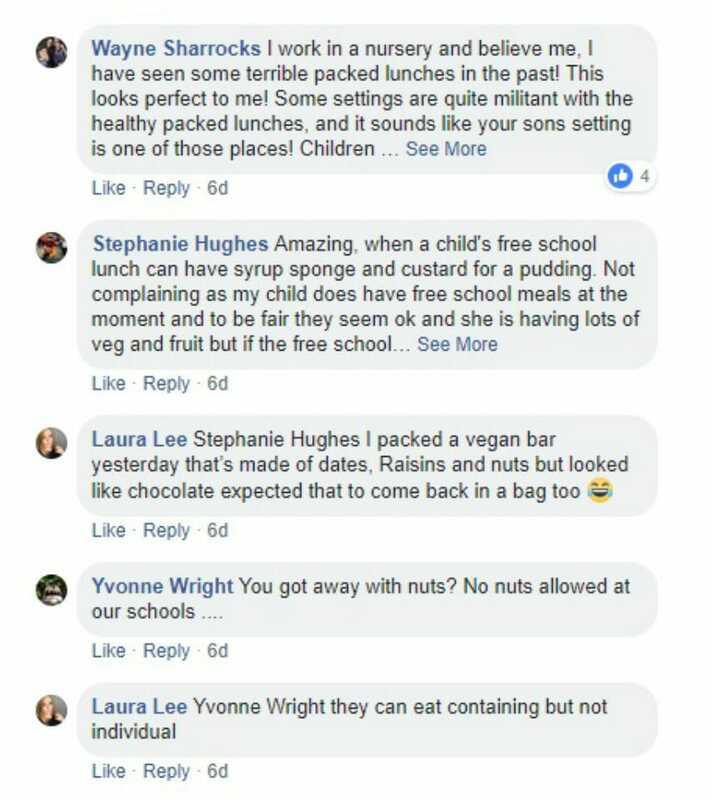 She then took to social media to complain in a comment that was a response to Plymouth Live story on Facebook, where teachers talked about some of the worst school lunches they had seen from their students. At first glance, you may assume that perhaps the Lee was in the wrong. 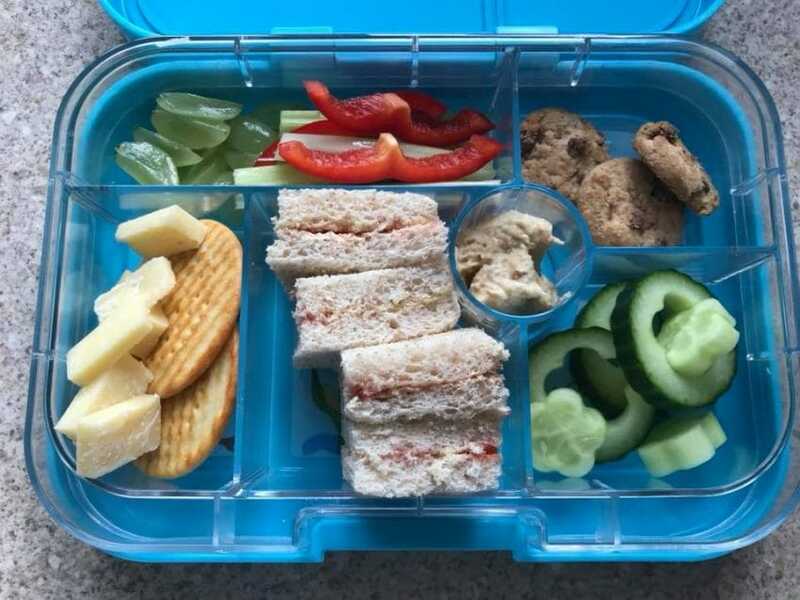 With just how much sugar is hidden in foods catered towards young children (especially prepackaged snacks), it could have been possible that Lee had not realised just how much sugar there was in her son’s packed lunch. 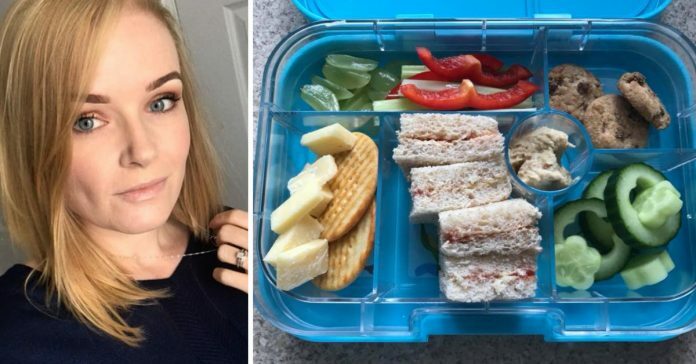 However, looking at the photo she included of her son’s lunch tells a completely different story. Looking inside it, the lunch appears relatively healthy, if possibly a little heavy in carbs. It includes a main course of some finger sandwiches, some cheese and crackers, an assorted side serving of colorful vegetables with some accompanying dip, and what seems to be a lovely, balanced dessert of three mini chocolate-chip cookies. 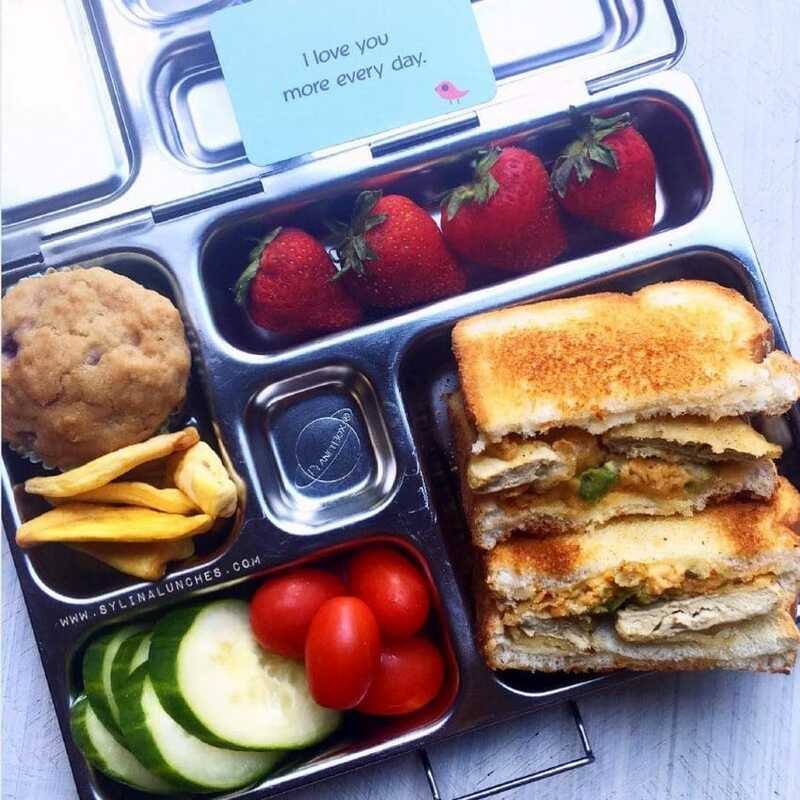 It is clear that a lot of thought and love went into packing this lunch, which raises even more questions as to how it was considered unhealthy. This was certainly a sentiment shared by many other teachers and parents in the Facebook post’s comment section. 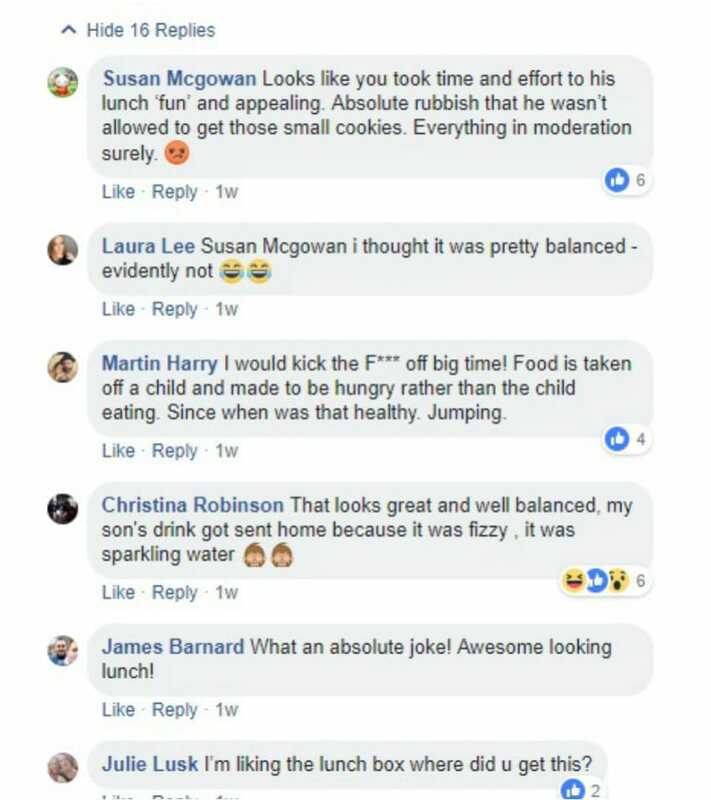 Many were bewildered that this was considered unhealthy, with a nursery worker commenting that she had seen much worse lunches packed for her charges before, and found this lunch perfect. 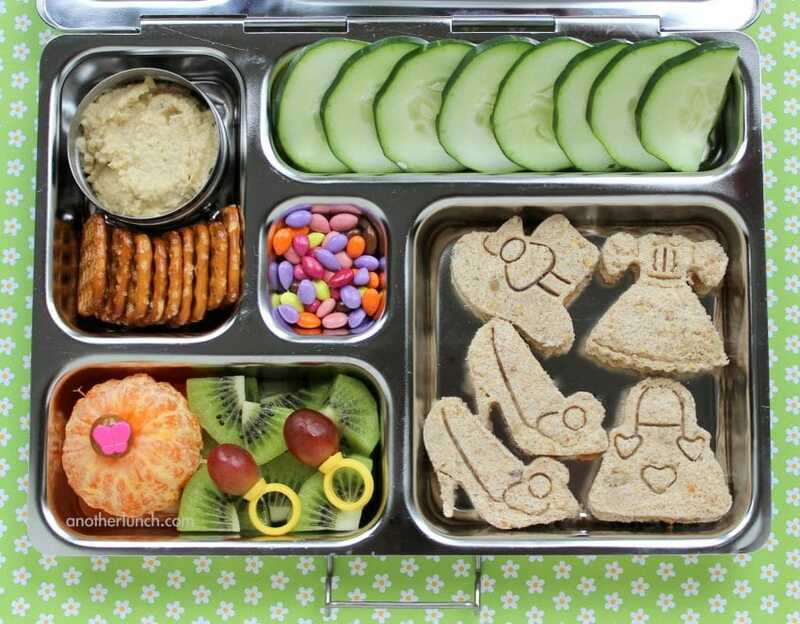 Most, including Lee, assumed that the packed lunch had been deemed unhealthy due to the presence of the three small cookies and considered that that was an absurd decision. As it turns out, this was not an isolated incident either, and many parents soon came forward to share their experiences. One parent named Christina Robin wrote about how her son’s drink was sent back home due to it being fizzy drink, even though it was simply just sparkling water. To rub salt into the wound, parents pointed out that most school lunches are often much unhealthier than the packed lunch Lee had provided for her son. 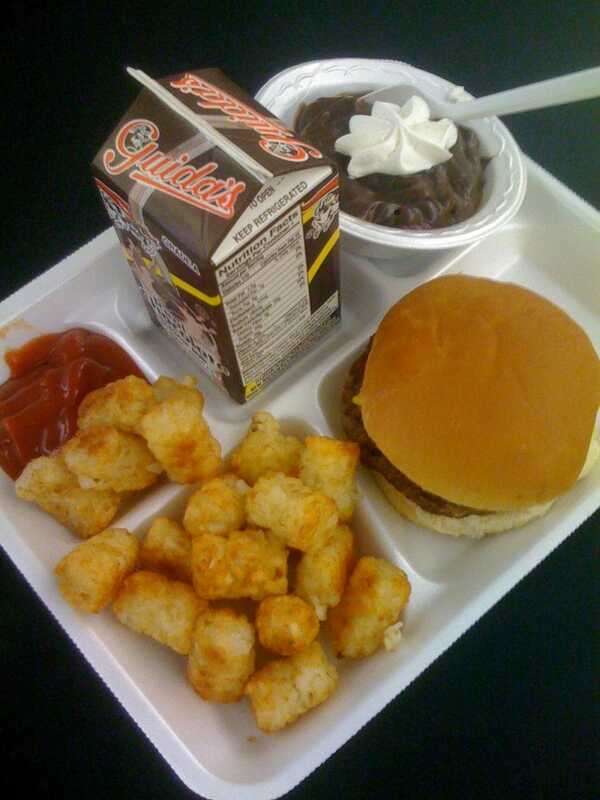 The current association of schools with a child’s lunch arose when recent movements aimed to raise awareness and encourage healthy eating in schools. As can be seen with this incident, some schools have taken this responsibility a step further, and have opted to monitor the packed lunches of their students. Noble as these intentions may be, it seems to be that the criteria for ‘unhealthy’ needs to be adjusted somewhat.